When we look back on the events which took place over the course of the last century it feels as if there are only a few major events that really stood out. However, the closer we start to look at the happenings of each year, the more it becomes apparent that so many different things happened that it is simply impossible to remember them all. Bill Bryson more than likely had this perception, or at least something resembling it, when he decided to pen One Summer. It takes place during the summer of 1927 in the United States, and at first glance, the choice seems rather random and dubious. However, as it turns out, a whole lot of things happened during that year, such as Charles Lindbergh’s first non-stop flight across the Atlantic ever, the beginning of Babe Ruth’s great record, and the man-made disaster of Mississippi basin. At its very core, One Summer is the account of the notable events which happened during that year, whether or not they actually had an influence on the course of history. 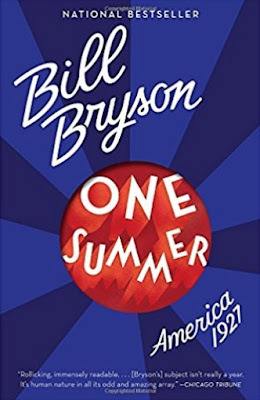 Bryson took great care to not only tell us what happened, but also capture the atmosphere and the feeling of the period; in other words, it seems as if his goal is to take the reader back into 1927 so that he or she may be able to relive these fantastic moments. Naturally, as one can expect from the author, his ability to reconstruct and vividly describe people and events from a time so far away is second to none. The book is rich with humor and abundant in small details that feel unimportant, and yet play a certain role in setting the mood of the work. Now, despite this being a narrative nonfiction, I think it is safe to say that the author took a few liberties and put his own twist on things. However, considering that he doesn’t really change anything important and actually adds to the value of the book as a source of entertainment, I would say that such a transgression can be forgiven. All in all, One Summer tells of a very special time during which the United States burst onto the center stage in front of the whole wide world, and if you are interested in learning and experiencing a different life in a different time, full of hope and wonder, then I definitely recommend you check this book out. 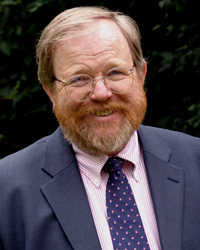 Bill Bryson is a best-selling author of American origin, being best-known for his humoristic works, often touching upon scientific themes or the English language itself. He lived in Britain for most of his life, where he skyrocketed in popularity with the publication of Notes from a Small Island, and a bit later, A Short History of Nearly Everything.